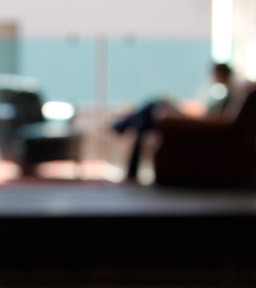 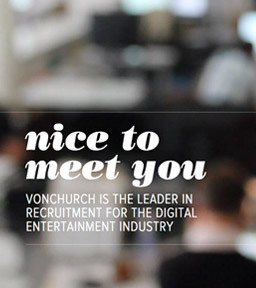 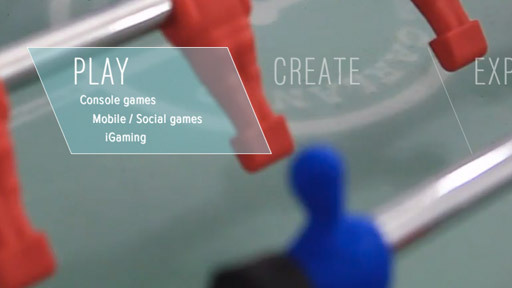 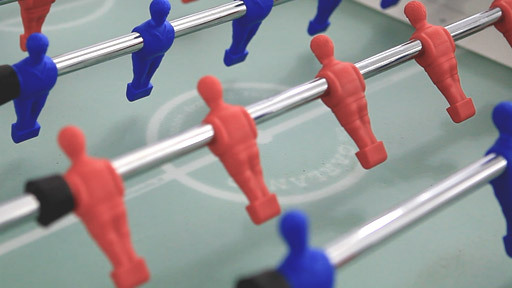 VonChurch specialize in finding talent for the gaming and digital entertainment industry. 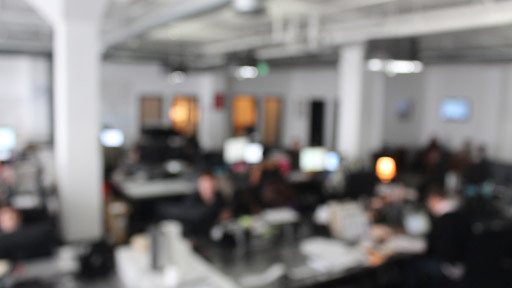 If you need an Xbox developer or a designer for your next app, they’re the ones to call. 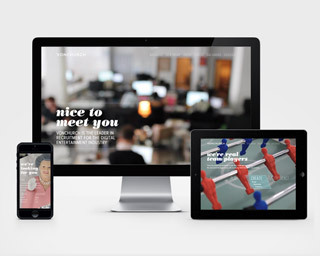 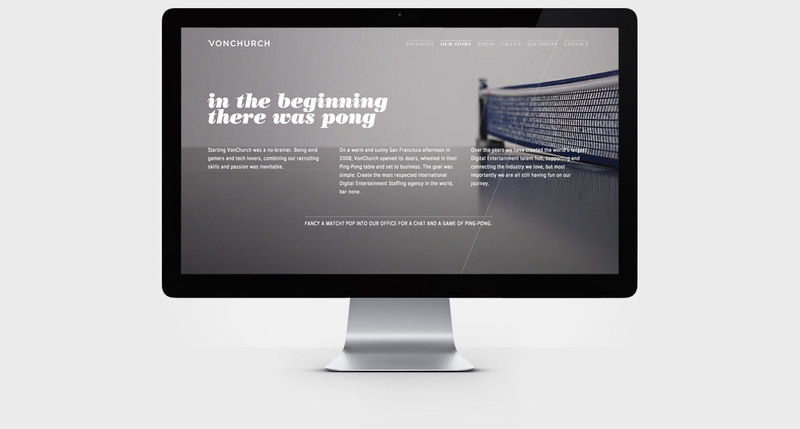 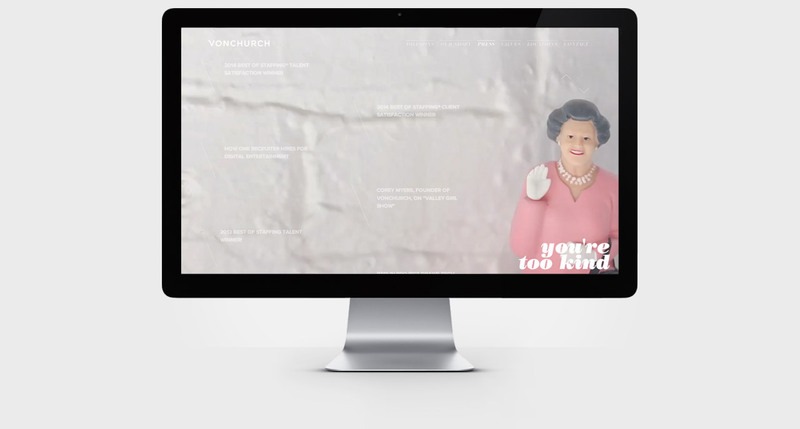 We designed the VonChurch identity and the website that helped launch the company. 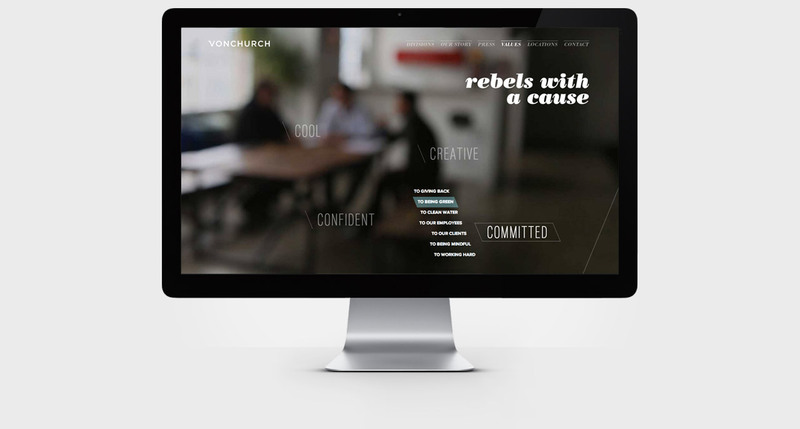 Less than 3 years later, after experiencing rapid growth, VonChurch commissioned Manmade to design and build the next version of their corporate website. 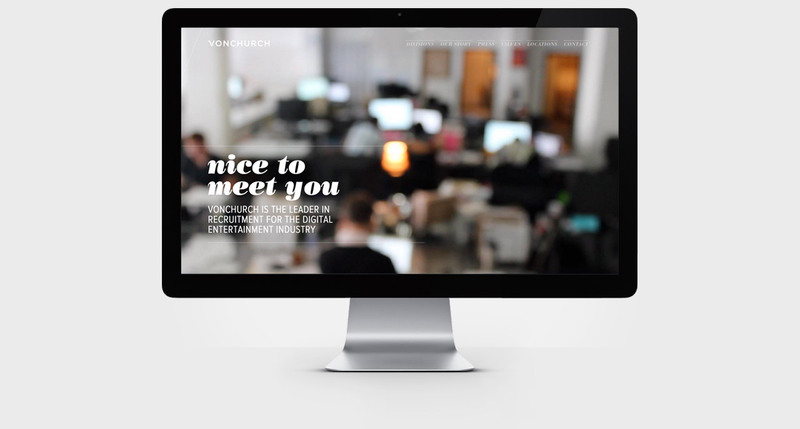 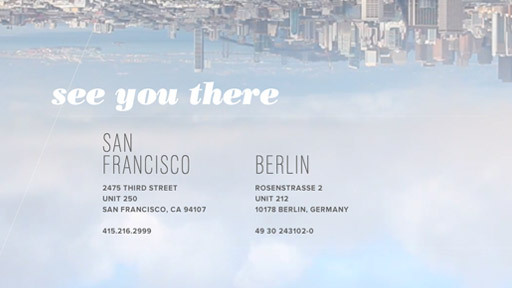 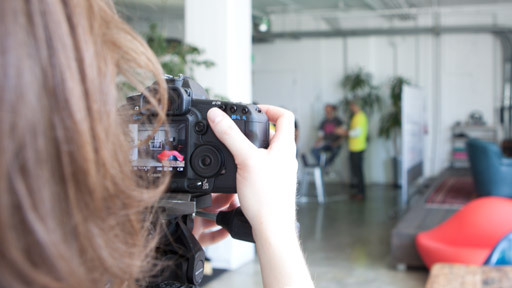 To support their growth, VonChurch had moved into a huge loft-like office space in SF's Dogpatch district. 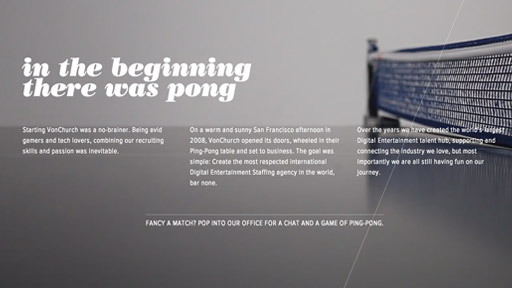 Kitted out with pinball machines, every game console you could want, and a custom-built stage for music jams and meet-ups, it exuded the company's cool, creative culture. 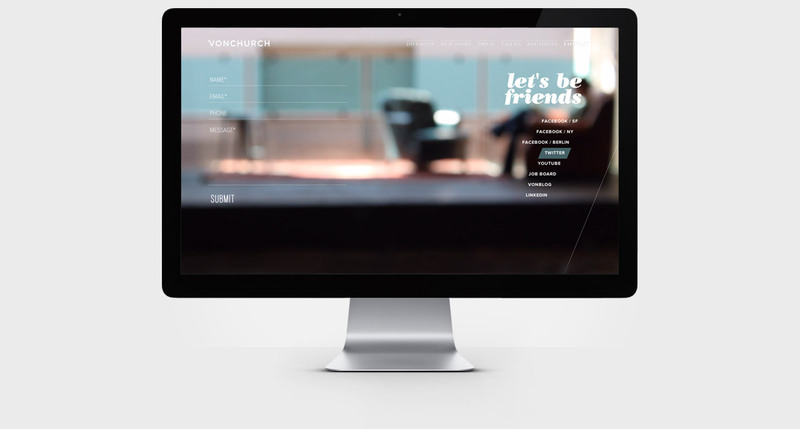 Giving website visitors a peek into this unique space the was the perfect way to differentiate VonChurch from the average staffing agency. 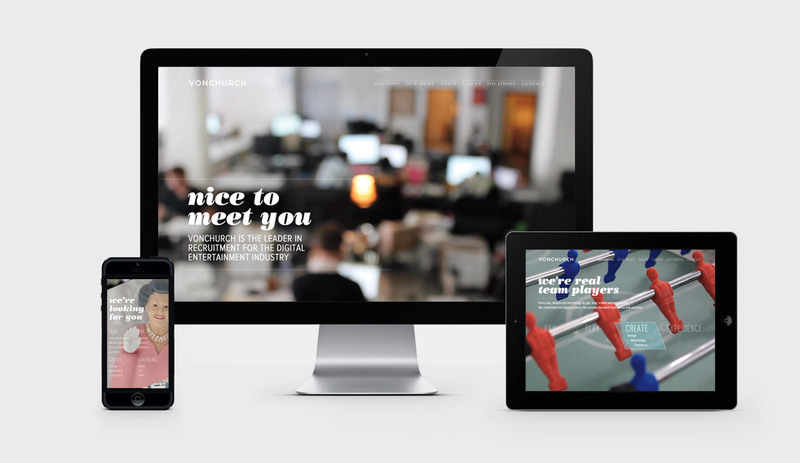 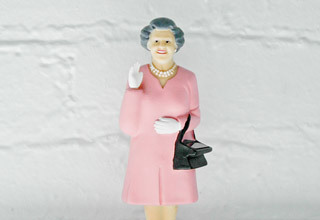 The website’s design language is intentionally minimal to contrast against the more corporate offerings of their competitors. 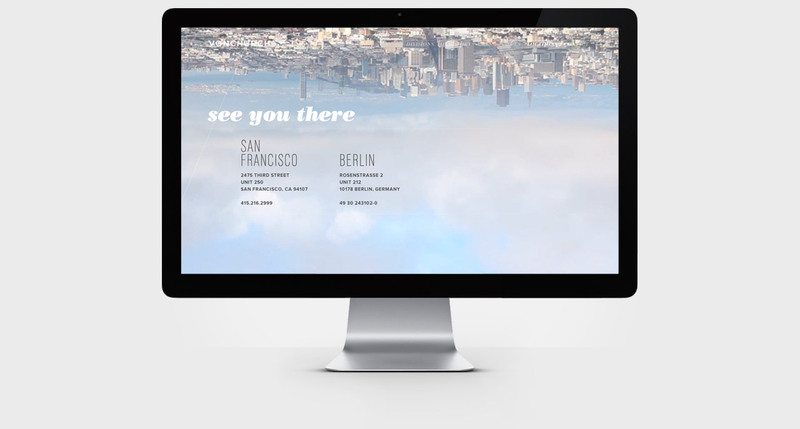 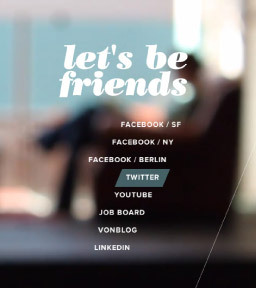 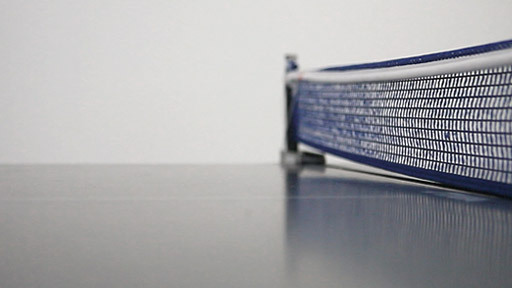 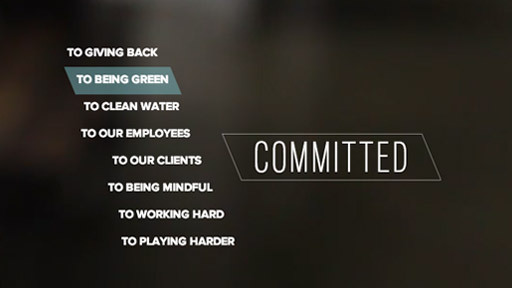 Quirky headings are carefully typeset while subtle full-screen video loops in the background. 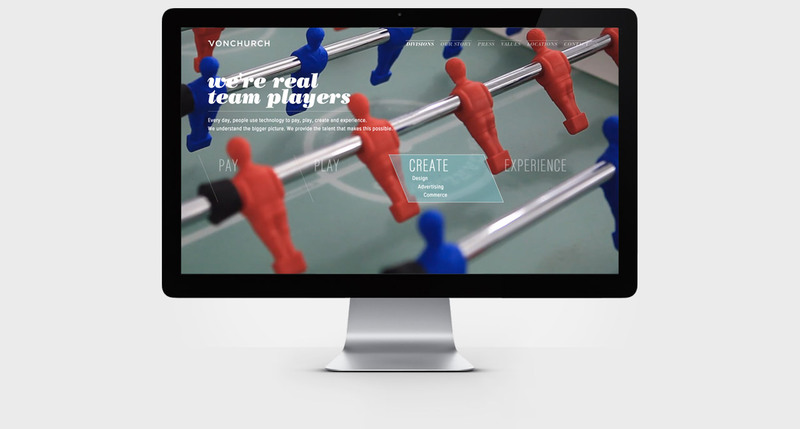 Diagonal lines and holding shapes evoke the angles of the Vonchurch identity.